How Did the Hot Dog Get Its Name and Where Does the Term “Hot Dog” Come From? It would have been our guess that the term “hot dog” for the popular American comestible came into circulation, along with the item itself, during the great Columbian Exposition in Chicago in 1893. But the New York Herald Tribune, in an editorial, “The Hot-Dog Mystery,” June 2, 1931, was not able to carry the date earlier than 1900. It hardly seems necessary to explain that the name itself is applied to a frankfurter, a highly seasoned sausage of mixed meats, usually grilled and placed in a split roll, the name being suggested by the one-time notion that the sausage was made of dog meat. 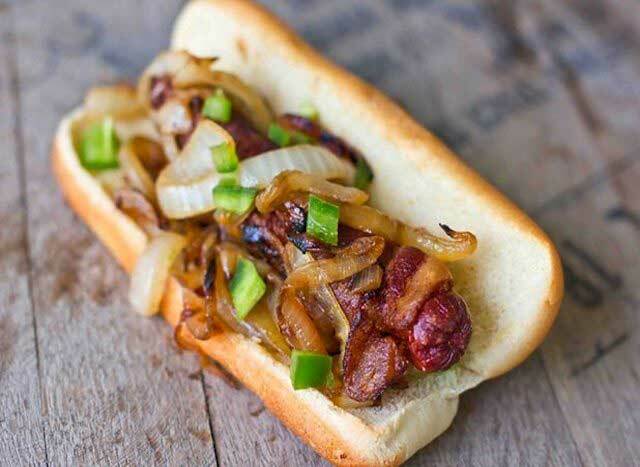 The Herald Tribune credited the invention of the concoction to one, Harry M. Stevens, caterer at the New York Polo Grounds, who at that time heated not only the frankfurter but also the roll. However, Stevens, as reported by the Herald Tribune in his obituary, May 4, 1934, credited the name to the late T. A. Dorgan (known as “Tad,” from his initials), a sports cartoonist, though unable to recall the date. In more recent years, “hot dog” has become an exclamation expressive of surprise or approval. Where do Hot Dogs come from and How did the hot dog get its name? How did the Prairie Dog get its Name and Where did the Rodent that is Not a Dog Come from? Why Are Hot Peppers Hot and What Is the Natural Function Of the Compounds In Hot Peppers?